Europe is the favorite combination of tourist destinations, thanks to various countries being nested at short distances from each other. It attracts millions of visitors from across the globe every year to enjoy its historical and artistic achievements, it's one of a kind natural beauty, its monuments and artifacts, its proud Western civilization history and the cultural diversity making it the best place to enjoy a holiday break. As spring is here people are hurriedly packing their bags to enjoy this beguiling destination. For first time travelers as well as experienced tourists exorbitant roaming costs can leave a bitter taste in their mouth. 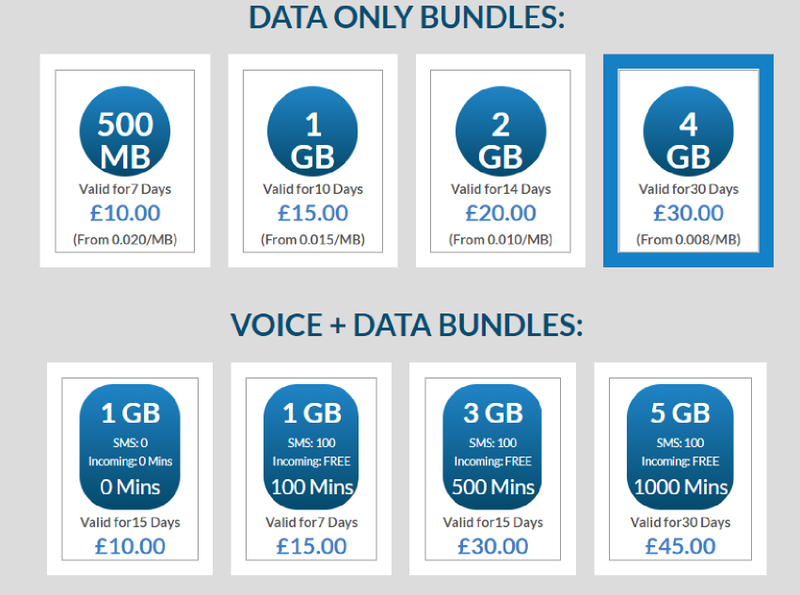 We have put together a walkthrough that will guide travelers to make most of their Europe SIM Card when visiting Europe. This walkthrough will guide a traveler to save money as well as prepare them if the sim card doesn’t work as intended. The foremost action that should be taken by any traveler after purchasing a Europe SIM Card before beginning their journey is configuring the API Setting of the sim card. Unless properly set, the smartphone won’t connect to the intended network. Tip: Use these simple steps to set the API Settings. The length of the holiday is a key factor in reducing the costs of using an international sim card. For instance, if you are planning to stay for a week in Europe then you should select a plan that reflects your nature of your usage and the validity of your stay. Tip: Select the right bundle depending upon the length of your stay in Europe. In today’s digital age, we communicate using chat, social media, SMS and calling. Most of us prefer to use our smartphones differently in the day to day life. During international travels, this can lead to an increase in calling & data prices significantly due to roaming. First-time users should decide what is their requirement during travels. Is data consumption a priority or making calls is more important during the holidays? Depending upon their usage, travelers should either use a Europe SIM Card that favors a data plan or opt for adding credits/using voice + data bundles that favors calling during travels. Tip: Use the correct Top Up plans while traveling to reduce roaming costs. Once a traveler purchases any international card they must add credit to successfully use the card. The amount depends entirely on the buyer. This means that the cost incurred while using the Europe SIM Card in the form of data consumption and calling depends entirely on the user. Travelers who are planning to stay in Europe for a short duration should choose a basic bundle plan to begin their trip. If they are still uncertain about the length of their stay, then using Pay as you Go is a safe bet to recharge their sim card in Europe. Tip: A correct estimation of your sim card usage will keep the international roaming charges under check. Despite all the preparations there can be situations when a sim card might not work seamlessly. Travelers can easily avoid such situations by applying using some useful troubleshooting hacks on their travels. If nothing works, then they can always take the help of the customer support for an uninterrupted network service. Tip: For a seamless network on your travels always use these troubleshooting hacks. Get your FREE Europe SIM Card now!